Who are the most famous actors who have played Santa Claus? You’d be amazed at how many incredibly well-known actors have donned the red suit and belted out that jolly laugh, bringing generations of children joy. The actors listed here all played Santa Claus in major motion pictures or made-for-television films. If someone asks you to name your favorite stars who played Santa Claus, who comes to mind? You might think of "that guy in the '90s version of Miracle on 34th Street." Well, "that guy" is Lord Richard Attenborough, and yes, he was Kris Kringle in the 1994 movie adaptation of this classic Christmastime film. But did you know that the Santa Claus in the original 1947 Miracle on 34th Street won an Academy Award for his performance? Edmund Gwenn took home the Best Supporting Actor Oscar - and he's the only actor to win the coveted golden statue for playing Santa. From the big screen to the small, famous actors have been playing Santa Claus for decades. Enjoy this look at the best of the best here! 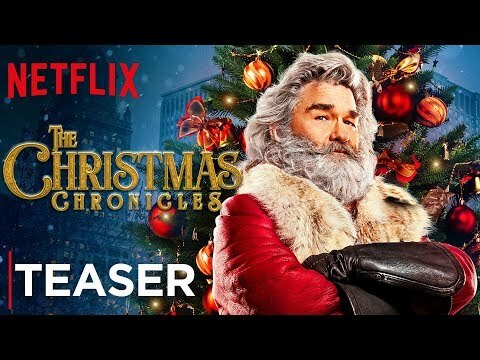 Kurt Russell plays Jolly Ol' Saint Nick in Netflix's, The Christmas Chronicles. The film is set to release on November 22, 2018. Tim Allen played Santa Claus in 1994's The Santa Clause, as well as sequels The Santa Clause 2 (2002) and The Santa Clause 3: The Escape Clause (2006). Billy Bob Thornton took a hilarious turn as Santa Claus twice, in 2003's Bad Santa and 2016's Bad Santa 2. Paul Giamatti was the jolly old elf in 1997's Fred Claus.